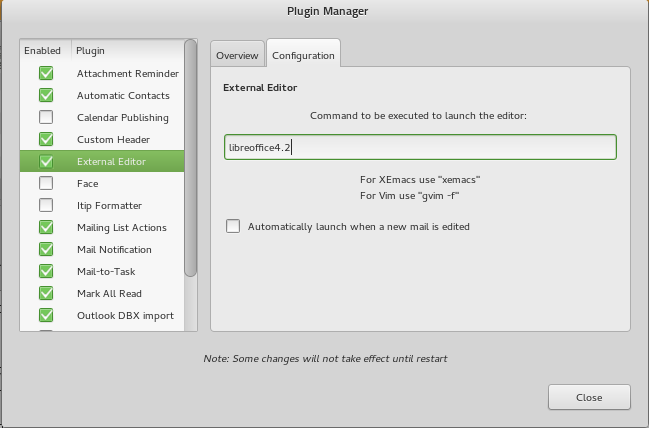 I seek for using LibreOffice Writer or a similar tool as a mail composer and reader in the Evolution. In Windows Outlook I have used Microsoft Word directly for writing mails. Evolution default mail editor does not enable easy and precise HTML formatting (see comments). 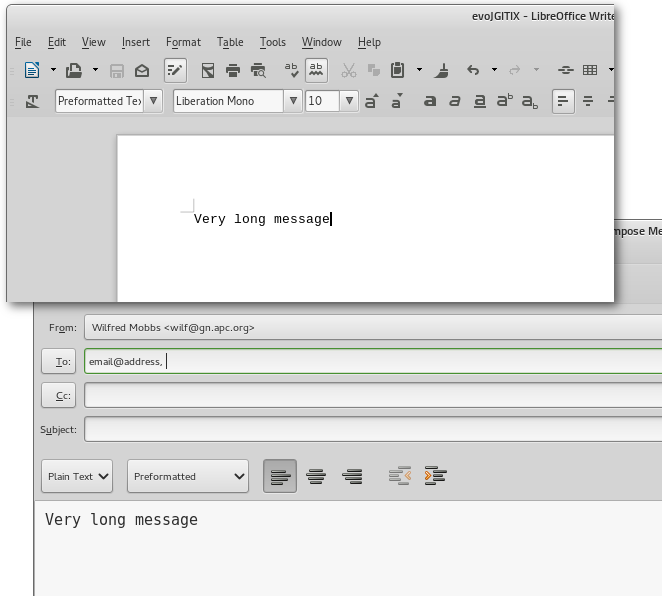 One month without answer shows that there is probably no possibility how to configure my present Evolution version (3.2.3) in Ubuntu 12.04 to use the LibreOffice Writer for writing mails and the same Writer or gedit for writing calendar appointment descriptions. I think that many people need it; maybe somebody has so adapted the Evolution source code for his purpose; it would be far more than worth of a bounty of all my reputation. Or, more attention to it will motivate the developers to adapt it in near future. As the content is copyrighted I won't duplicate it here. 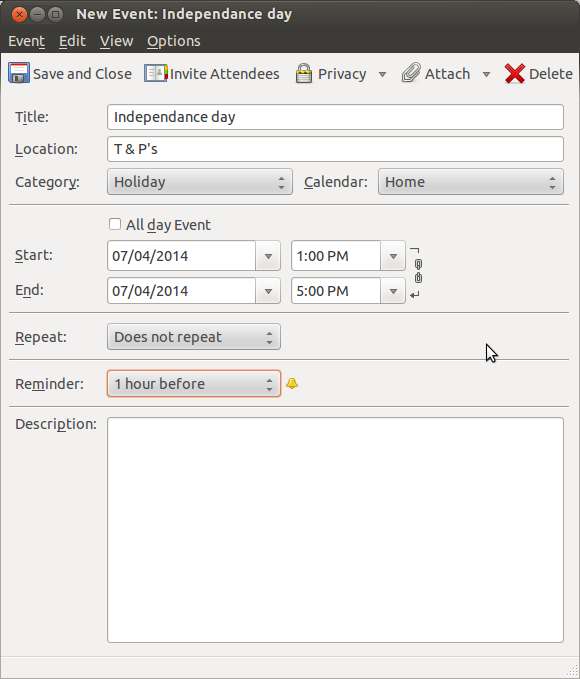 Thunderbird also integrates with a local calendar via an add-on called Lightning. 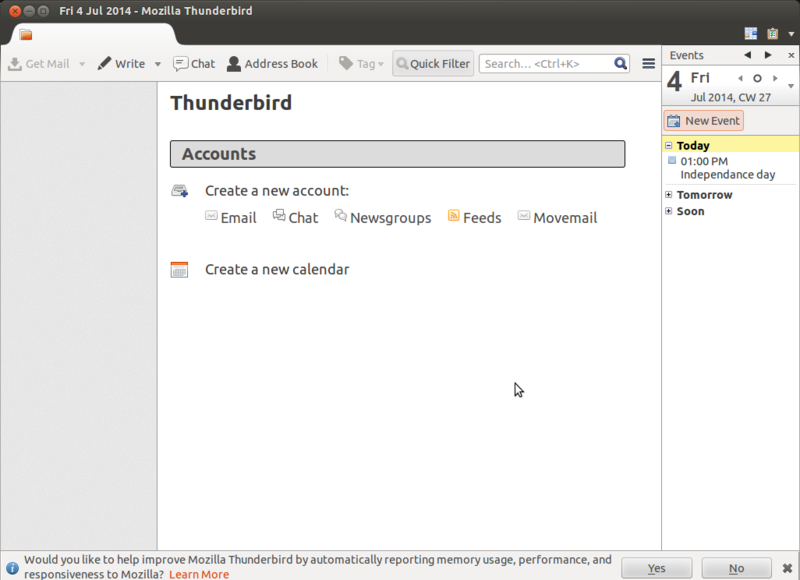 It fully integrates with thunderbird. Here's an image without my email setup to give you an idea. You can see the scheduling in the right hand column. If I still had my email account setup it would show this list in the body of the main screen. 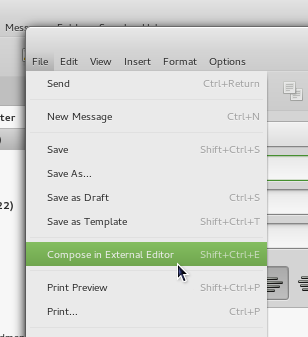 You then need to enable and configure under 'Edit' > 'Plugins': You can set this to the command libreoffice --writer which will launch libreoffice --writer, but you could leave it as the default gedit. The only real problem with this is as it seems to use a text/plain format, no formatting is saved from Libreoffice. 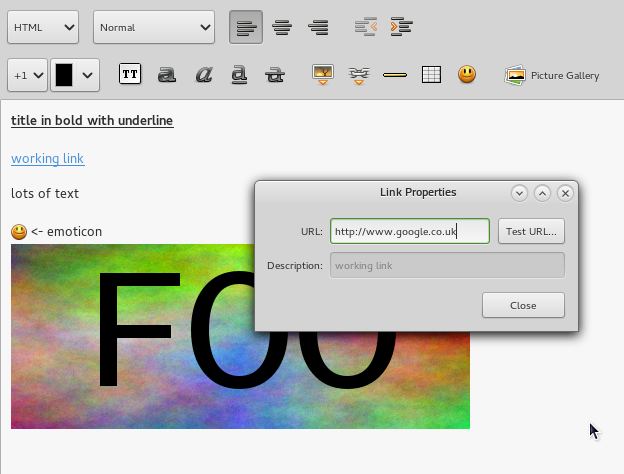 Also, if just want a format when you can use links and formatting, set the type to HTML: This can include formatting, embedded images, emoticons :D , and also has a thing that can be used to create and test links. You can use SeaMonkey. This client has HTML editor for this issue. Not the answer you're looking for? Browse other questions tagged 12.04 libreoffice evolution text-editor html or ask your own question. What does the Evolution “Flagged” column represent?